Tubular foils enclose a wide variety of products. 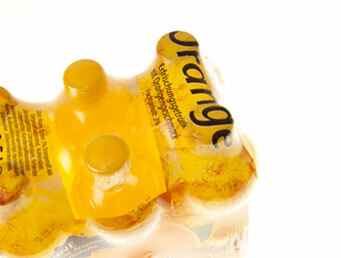 They can be used to make compact packaging units such as six-packs for beverage bottles and cans. They seal sundaes and separate bin liners. Manufacturers frequently also punch and perforate foils to make it easier for the customer to remove the product, no matter whether it is foil packaging for diapers or cigarette cellophane. Knives make products useful. You need knives for a different industry? Part of our range of services is listed below. Please contact us if you want to know more about our know-how in your industrial sector. We develop precision-cut knives for a wide variety of foils. Irrespective of whether the foils are extra thin, unusually thick, viscous or elastic, or whether they are shrink-wrapped, printed, finished, environmentally friendly or else biofoils - we supply the best knives. Let us know your requirements. We will advise and inform you directly and personally.